"Live" graphical display, updated every 60 seconds. "Live" data and plots, updated every 60 seconds. Daily plots and raw data files, are available from September 23, 1996 to yesterday. Solar Calendars, are available from September 1996 to present month. Wind roses (monthly, seasonal, & yearly) are available from September 1996 to last month. 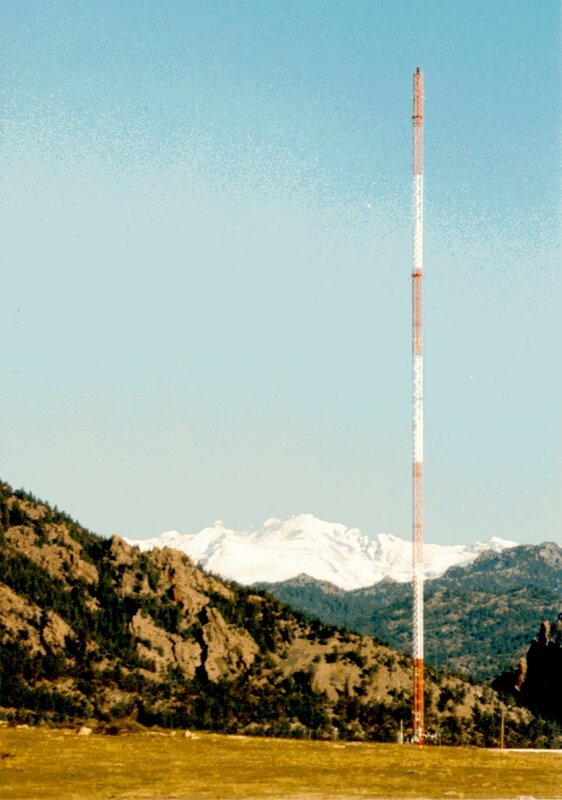 The readings displayed are derived from instruments mounted on or near a 82 meter (270 foot) meteorological tower located at the western edge of the NWTC Site and about 11 km (7 miles) west of Broomfield, and approximately 8 km (5 miles) south of Boulder, Colorado. The tower is located at 39o 54' 38.34" N and 105o 14' 5.28" W (datum WGS84) with its base at an elevation of 1855 meters (6085 feet) above mean sea level. The current conditions represent the mean value of readings taken every two seconds and averaged over one minute. The wind speed and direction are measured at a (6) heights: 2, 5, 10, 20, 50, and 80 meters. The vertical shear (the rate of change in wind speed with height) is calculated from the means of wind speed measurements taken at six heights between 2 and 80 meters (7 and 262 feet). The air temperature is measured at (3) heights: 2, 50, and 80 meters. The dew point temperature, relative humidity, and barometric pressure are measured at a height of 2 meters. The station pressure and altimeter setting (listed as estimated sea-level pressure) are measured at an elevation of 1857.5 meters (6090 feet) above mean sea level. Several parameters are summarized for each day beginning at midnight local standard time. The totalized liquid precipitation and global solar radiation are also presented. The information is automatically refreshed approximately every minute and historical data is also available. 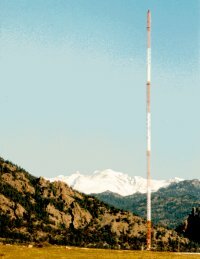 M2 Tower; Boulder, Colorado (Data); NREL Report No. DA-5500-56489.